Hello Fiends! Welcome to February! 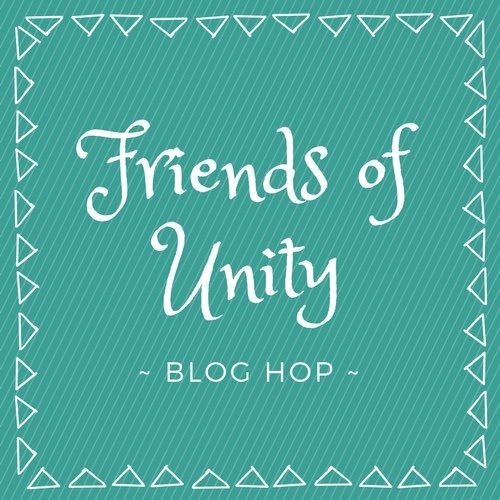 Welcome to our Friends of Unity Blog Hop! If I may, I'd love to give a sweet shout out to my daughter Samantha in honor of her 28th birthday. She is my heart and one of my bestfriends. I love you baby and I thank God each day for you! Have a beautiful, happy and blessed birthday today with your family and know that mommy wishes she could share this day with you. I'm celebrating you across the miles, my love. How lovely is this months theme. Friendship. Oh how valuable this wonderful word is. Whether your circle is small and cozy, or big and exciting; friendships carry us. Support us. Include us and accept us. 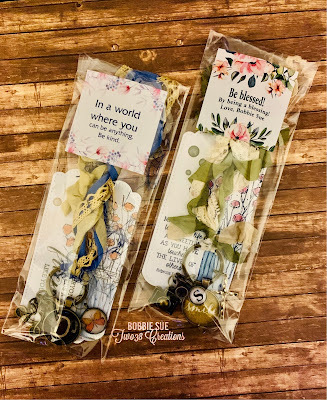 I stamped each tag with the flower & vase from the set "Difficult Roads", by Graciellie Designs. To me this is one of the most beautiful stamps she has ever created. The sentiment used on this first one is from an itty bitty called "Gladness touch your life". It pairs so perfectly with this gift I am giving to a dear friend, an amazing photographer. She is an absolute incredible woman who sincerely makes an impact on every person she comes in contact with. I am so excited to celebrate her simply because I love and appreciate her friendship. The sentiment on this next tag I received in a grab bag so I am not sure if it is part of a set. It says, "Everyone should have a friend like you" and perfectly fits the beautiful woman I am gifting this to. I know each and everyone of us has online friends that we have grown close to. Although we don't talk very often, I love and adore her authenticity and beauty. I appreciate her online friendship. This gift will be a simple reminder of that. This keychain and tag were made for my bestfriend of 36 years. I could never put in to words what she means to me. Our friendship has remained through separation and trials. It has carried us when our lives were falling apart. It has given us countless memories and moments that remind us how truly beautiful and important true friendships are. I was so excited when I came across this sentiment in my grab bag and immediately thought of Betty. It says, "A friend is one who knows all about you and loves you just the same". 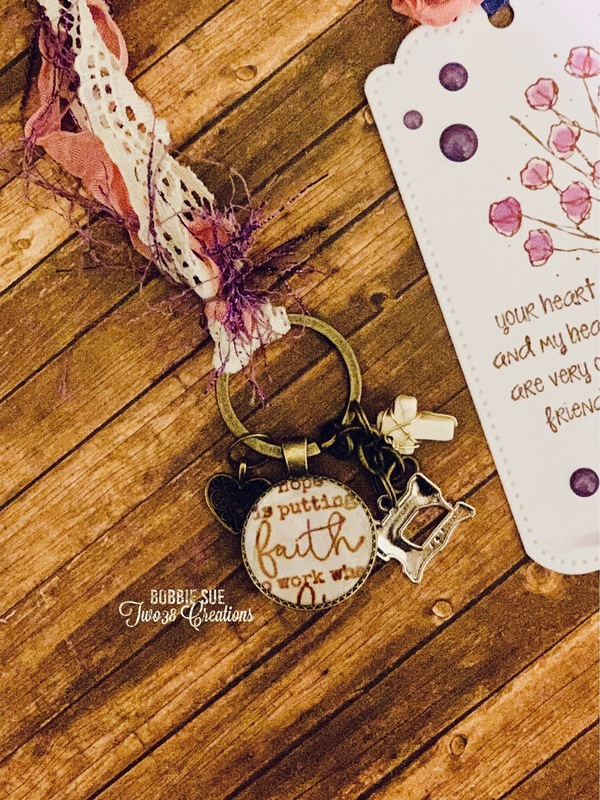 The different charms on her key chain read, "Se believed she could so she did". "Be" and "blessed". This last gift and tag is for my sister Tina. She is truly one of my very best friends and knows me better than anyone. I'm not sure I could even put in to words what she means to me. Although she is my sister, she truly exemplifies the word friendship. I love her more than she'll ever know. The sentiment is from an itty bitty called "Old Chicks" and says "your heart and my heart are very old friends". How very precious this sentiment is! The photo below is the back of her initial T charm. 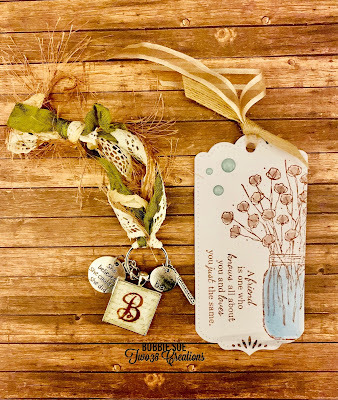 It is part of a sentiment stamped from the January 2017 sentiment kit called "Worth it all." The entire sentiment reads "Hope is putting faith to work when doubting would be easier". It has been a long time favorite of mine. I know your going to love these as much as I do! I would love to know which charm and tag were you favorites! Speaking of giveaways!! 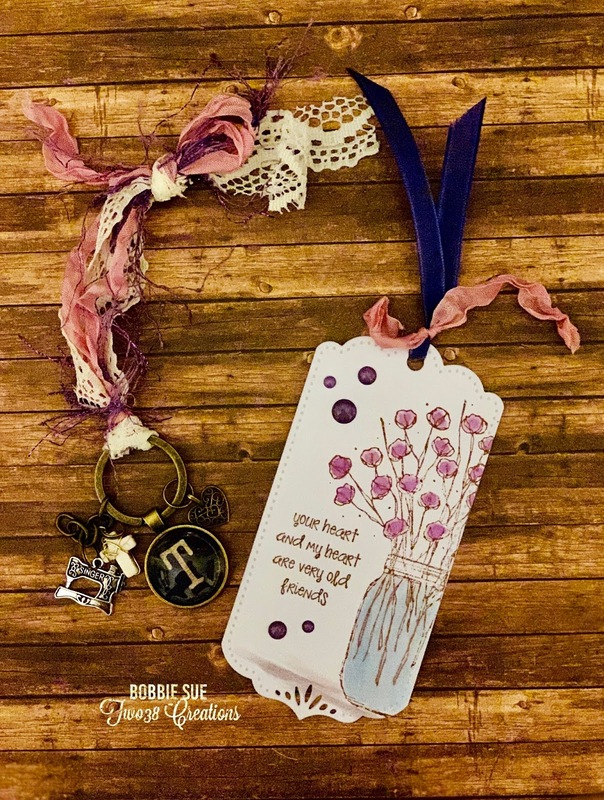 Congratulations to Donna Rakestraw for being my winner from last months FOU blog hop! Thank you for your sweet comment, Donna! Please message me your contact information. What neat gifts!!! Looks great! I love your amazing tags. 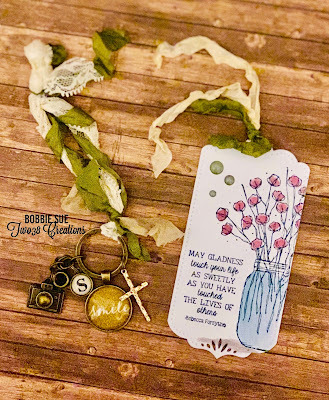 The vintage feel is so beautiful and the stamp is a must have. I also love the embellishments and ribbon you used. They go perfectly together. What wonderful gifts for your friends & sister! Pick a favorite? No way ... they are all gorgeous and I love all of them!! This stamp is on my Unity wish list & I'm going to get that tag die. Thank you for your inspiration! Wow! I love the faith key ring so much. The way you packaged these is perfect!each one of these is so thoughtful and heartfelt. Happy birthday Samantha!!!! Oh my sweet friend!! YOU are so creative! I love the bookmarks/tags SO much! Simply beautiful!! The key chains are a keepsake! What a wonderful gift ...and the packaging, sometimes, to me, is the first start to know what is inside is going to be even better!!! You've shown me that the image on the tags looks good in any color. It's on my wish list. Thanks for sharing your ideas with us Bobbie Sue! You make such beautiful things. Every little detail is spot on. I feel like I should print out some of your pictures so I can hang them around for inspiration and just absorb the beauty. Just gorgeous and very heartfelt as always, Bobbie Sue! You are truly inspirational and very thoughtful! Love them! Wow, wow, wow!!! These are all so beautiful, you are so talented!! 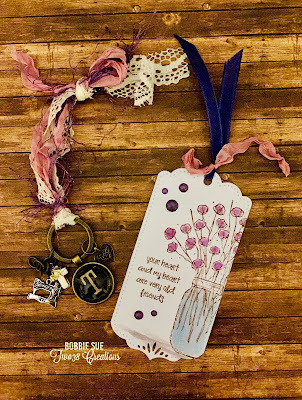 Bobbie Sue, such wonderful gifts you've made and truly from the heart!! I can't possibly pick a favorite out of the bunch; they are each so beautiful and unique! And that packaging is absolutely perfect! Love them all! Thank you, as always, for sharing your beautiful heart and your talent! Love how you've made them each special and fitting for the person you are giving to. I like your key chains and how you've packaged them all as well! Lovely! Just beautiful, Bobbie Sue! Very inspirational, love the sentiments and charms. Very personalized. And I didn't know Current was still around either. Nice labels. Thank you for your friendship and inspiration. Bobbie, these are just GORGEOUS! I'm so happy to have found you and can truly say I love our online friendship and shared love of all things kind! Great job with your blog post! I love them both but especially the first one with the cross and camera! Wow, Bobbie Sue! These gifts are fantastic!! And the tags are just as much a part of the gift too! Your talents are amazing and I look forward to seeing what you post. Speaking of friendship, I truly appreciate yours!! So cute! I love the little gift bags. Such a sweet gift. BEEEEUUUUUUTIFUL Tags! And I really love you cute little gift bags too! 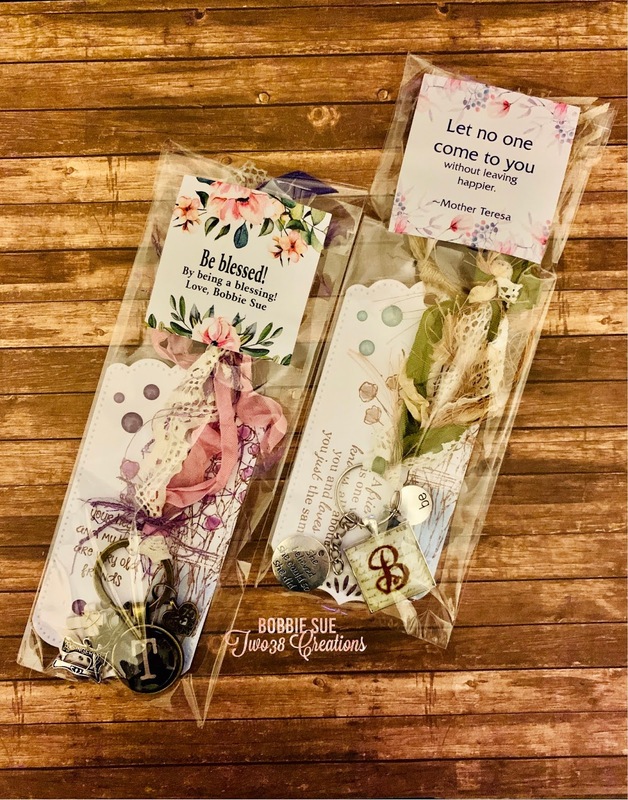 Bobbie Sue, these are extraordinarily gorgeous! I love each and every one. I love the charms and packaging as well! Just fabulous my friend! What beautiful key chains and tags for your friends. My fave is the first one. So beautiful Bobbie Sue...as always. I love all the sentiments that you've used. I am going to have to track all of those down!!! These are all beautiful!! My favorite is the initial T creation. Love the sentiment and the color combination! Gorgeous, love them so much! I don't think I can pick a favorite They are each so unique and beautifully made, the recipients will cherish them! 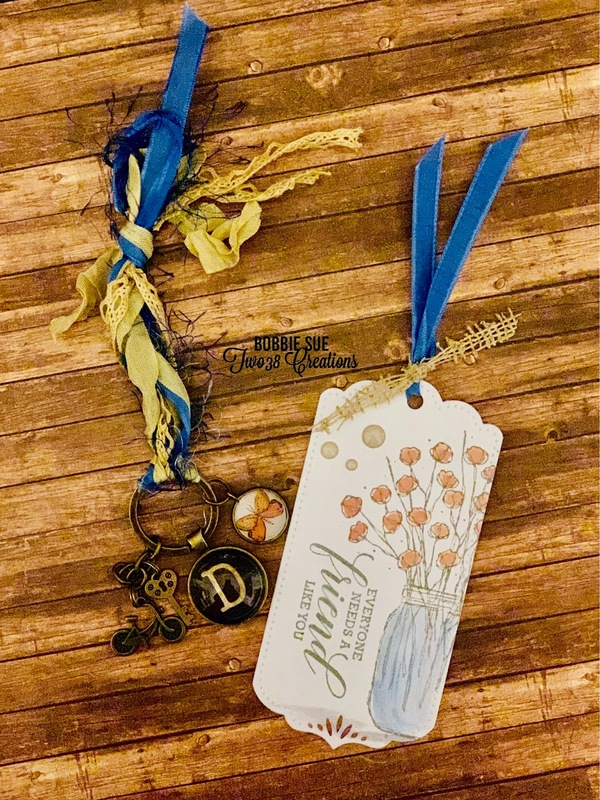 I love your tags and charms! Wow! Gorgeous tags! 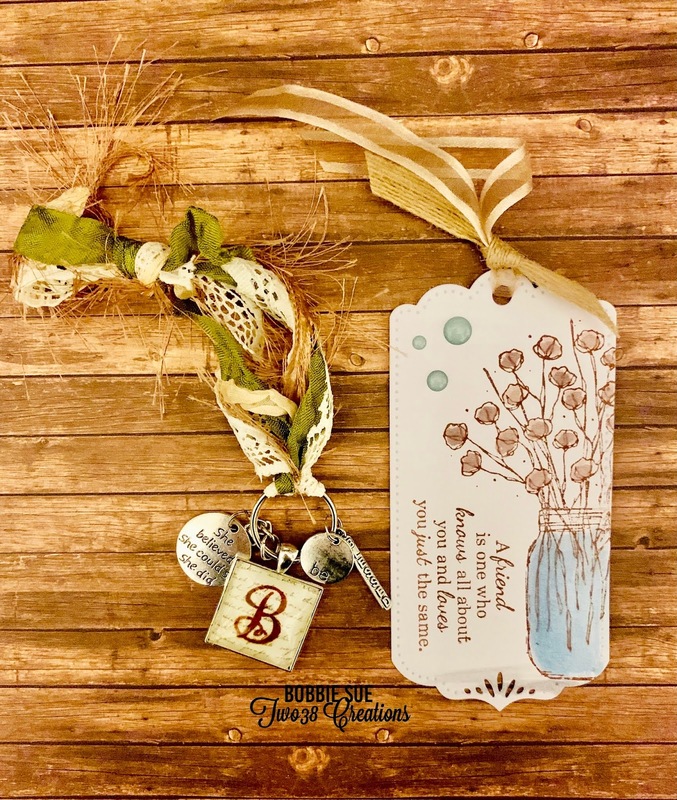 I love that jar of flowers stamp every time I see it used in a project! May have to add it to my Unity collection one of these days! I can't pick a favorite tag or key chain. They are all lovely and so obviously thoughtfully planned for each recipient. 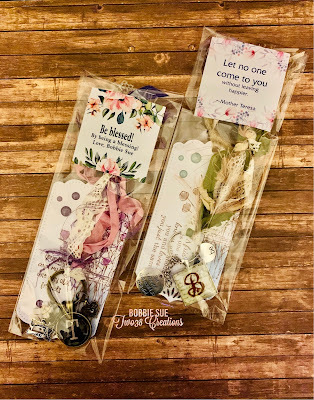 These tags and little gifts are so charming, and I love the saying on Betty's! Oh what wonderful gifts! Gorgeous keychains and tags, so creative. I'm really drawn to the pink and purple one, maybe it's the vintage feel with the lace. Congrats to Donna and happy birthday to Samantha!!! Your projects are really gorgeous! Love them!! !